A “peoples” tribunal, modeled after an examination of U.S. war crimes in Vietnam, is exploring Israel’s mistreatment of the Palestinians. Meeting in New York City, the Russell Tribunal on Palestine sometimes was legalistic but addressed frequently ignored issues, says Danny Schechter. The needs and concerns of the Palestinian people are not in the news much in the United States, even though the issues have been around for decades in New York City, which hosts the United Nations. There have been many detailed studies of media coverage that prove that the U.S. media rarely covers Palestinian concerns or features Palestinian perspectives in talk shows or news programs unless and until violence erupts. Criticisms of Israeli behavior raised by foreign leaders are also largely ignored unless they are cast as controversies about noisy and sometimes invented allegations of anti-Semitism, rather than any exploration of the underlying issues of international law violations and apartheid-like abuses in the territories occupied by Israel. Advocates of Palestinian rights and critics of violations of international law seek, often without much success, to call attention to oppressive realities on the ground but not just in an ideological debate. They want to change a U.S. policy that often marches in lockstep with Israel, in part, because of the power of the Israeli Lobby and regional military calculations. 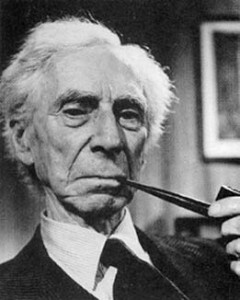 One of the more visible organizations trying to fill the gap is the Russell Tribunal on Palestine, an “international peoples” tribunal modeled on the initiative by the late British philosopher, Lord Bertrand Russell, an esteemed lecturer, author and moral leader who first created the Tribunal concept in the 1960s to feature well-known intellectuals to expose war crimes in Vietnam. I covered that event when it took place in Stockholm with a jury made up of the likes of Jean Paul Sartre, Simone de Beauvoir, Swedish playwright Peter Weiss and American anti-war activist David Dellinger among other cultural and political luminaries. It drew global attention and denunciations by the U.S. government and media when Vietnamese witnesses testified about the chemical defoliation of their country, and systematic and often deadly human rights abuses. I remember American TV correspondent Morley Safer doing a “stand-up” after one session when the audience had left denouncing the Tribunal’s allegations of U.S. war crimes and dismissing the Tribunal as nothing but communist propaganda. Thirty years later, his own news magazine, “60 Minutes,” carried reports confirming that there were indeed brutal atrocities being committed in places like My Lai where American soldiers slaughtered innocent civilians including many children. Had Safer not been so eager to discredit Vietnamese experiences back then, something might have been done about the abuses or at least made them known. It met this past weekend in The Great Hall of Cooper Union where President Abraham Lincoln debated his political adversary in 1860 just as the momentum toward the Civil War was building steam. The packed event in New York followed earlier sessions in Barcelona (focused on EU complicity), London (on corporate complicity), and in Cape Town likening Israeli policies to apartheid-era crimes in South Africa. South African supporters of Israel mounted an angry protest that drew major media attention. Perhaps that’s why the often vociferous pro-Israel lobby in New York stayed away this time, hoping the Tribunal and its findings would be ignored. Perhaps, their members were exhausted by days of screaming at the United Nations. The jury this time included former South African Intelligence Minister and Liberation movement leader Ronnie Kasrils; South African lawyer John Dugard; writer Alice Walker, activist Angela Davis and former U.S. Rep. Cynthia McKinney as well as luminaries from Europe like 94-year-old peace proponent Stephane Hessel and Native American leader Dennis Banks. On the first day of the two-day session, the jury heard testimony from Israeli historian Ilan Pappe on the origins of Zionism and its commitment to expel Palestinians before the State of Israel was even born. There were many legal experts on the role of the UN in providing help to Palestinian refugees but rarely defending Palestinian rights. Speaker after speaker denounced the UN for going through the motions and abandoning its mandate because of Israeli and US pressure. One speaker said the UN had become a “cruel joke” when it came to fulfilling its obligations to Palestinians over the decades. The audience was cautioned not to applaud and so the whole event tended to be passionless, academic and legalistic. There were long lectures on legal precedents that the lawyers in the room might have appreciated but put some people around me to sleep. On Sunday, there were more details of Israel’s history of subjugating Palestinians, evicting them from their villages and then destroying their houses, as if to wipe out any evidence of their existence. There were presentations on crimes like “ethnic cleansing” and blatant discrimination, a denial of rights and illegal restrictions to criminalize the population and wipe out its identity as a majority group which was turned into a minority in a colonized environment. In the afternoon, there was what was described as a “library of anguish,” droning presentations by international lawyers making a case of the need for the international community to oppose a disgraceful military occupation, which finally culminated in a lively debate. The lone Palestinian “witness,” Saleh Hamayel, argued that the situation has to be reframed because it is unique, not quite genocide nor an analogue of apartheid because the whole of Palestinian society is being destroyed intentionally. He offered the concept of “sociocide” as worthy of being considered a crime. Others disagreed, noting that apartheid is already considered a crime against humanity that can be used as a basis for international action. There was a heated back and forth with most agreeing that both concepts could be invoked even though only one enjoys the support of international law. One issue I missed: The corruption and collusion of the Palestine Authority with U.S. and Israeli negotiators. See Clayon E. Swisher’s revealing book, The Palestine Papers for documentation of the story he broke on AlJazeera. Zwelinzima Vavi, the General Secretary of the Congress of South African Trade Unions, flew in to express solidarity with Palestinians and criticize the silence of American unions on the issue. Citing Martin Luther King Jr., Vavi blasted the “roaring silence” of U.S. trade unions. South Africa has an active BDS movement regarding Israel calling for Boycott, Disinvestment and Sanctions which is spreading worldwide. This past week, BDS billboards went up alongside South African highways. Leaders of the anti-apartheid movement, like Archbishop Desmond Tutu, have endorsed the campaign. What was impressive was that many young people from activist groups and college campuses, many of Middle East backgrounds, turned up. They seemed to appreciate the “teach-in” orientation of the speakers who crammed their presentations with facts and context turning the event into more of a course than a political rally. Personally I would have liked a more colorful and energetic style to inspire the public to get more involved on the issues. More interaction between the jurors and the audience would have been helpful to challenge what, at times, felt like a one-way old-fashioned format. There were many cameras from alternative media, groups like Deep Dish TV, but not the mainstream media, although I did run into one cocky journalist from Rupert Murdoch’s Wall Street Journal who was clearly there to “expose” the Tribunal. I had a short exchange with him. He criticized the event for only having one point of view although the speakers varied in their approaches. He introduced himself as an Iranian-American after denouncing Iran as anti-Semitic for criticizing Israel. “It’s so one-sided,” he said repeatedly about the Tribunal, which was strange coming from a member of the Journal’s opinion page, known for being overwhelmingly on the Right and as one-sided as they come. At the Tribunal, there was a lot revealed about Palestine and the $4.5 billion in U.S. support annually for Israel. It is information the American people need to know. Yet, American politicians and media continue to ignore one of the most pressing moral issues of our times. Increasingly, they are not even paying lip service. So The Russell Tribunal should hustle to create hearing for an event that has been going on for about a year just as it has assembled a hearing for something that has been ongoing to over 60 years? And you Israel apologists preach about “moral equivalence” LOL…. So Borat, what does this have to do with the Palestinians? Surely you cannot be such a bigot that you think every Moslem everywhere is guilty of the crimes committed by any Moslem anywhere? Or would you LOL…. Borat has no facts to refute the arguments presented so he spews hate. Asskissers do not like to be invited by a boron like you to tell them what they should read. You don’t even have diplomacy. You need to control your temper and make sense, if you can. Otherwise you will not get your point across. Can’t you tell that your audience is not listening to you vecause of the way you represent yourself? Anytime your “people” are critizised you whine: “antisesmetic”, not even understanding what it means. You are ONE with ARABS… dont’t you understand? You are the same!YOU and THEY are SEMITES!Same race. Don’t fool yourself, but you have strayed from the straight path. You certainly don’t further your cause by you whining. I thought it was required that you educate yourself to represent the opinions of your folks. But I hear nothing but silly opinions from you. Demonstrate why you think the criticism is undeserved, and tell us what good people you are base on your good deeds or inventions?? The whole world dislikes you and your “people” because you are vultures,… but you don’t realize it because you think you are special. You are nobodies, because all your “knowledge” originated in other countries. I am not reading your comments again, ever. Seems you are “at it” again. Why don’t you go somewhere else? This site is not for you, boring rat. You are not contributing anything except BS. You are always on the lookout to discredit anything legitimitely critizing Israel. You are a bore. good name for you “borat _Boring rat”. Good to see Consortiumnews reporting this even. I believe the MSM have been ordered to ignore it, unless it’s to ridicule it. No one on these boards believes all Muslims are angels, but individual killings do not correlate with Israel’s national policy, which has an inhumane impact on an entire people. A significant percentage of Israelis, who clearly are not anti-semitic, want to make peace with the Palestinians. The US could work things out if it had the courage or foresight, but it does not. Everyone knows what has to be done. Israel back to the 67 borders, and If it took American troops on Israeli soil to be peace keepers and put those in Israel with a Massada complex at ease, so be it. And no, they would not be there to convert Jews to Christianity. Soldiers are not evangelists. I am all for Israel within the legal limits set by the UN and agreed to by every other nation on earth. As of now, Israel is marching toward eventual collapse, and a Romney presidency may have the opposite effect of his stated support of Israel. I am not a Christian zionist nut using the Jews for the return of Christ. In fact, I find it most ironic that our persecution of Jews led to the creation of the Jewish nation in the first place. Had we treated you with decency, you would have been happy in the diaspora. Certainly, Jews in America are not streaming to Israel. Please consortium remove this boring lying rat from your interesting comments by humans. I am not defending crime. However the tribunal appears to be completely one sided. but tribunals should not be one sided. I see nowhere in the article a where the tribunal offered a rebuttal or defense of Israeli policy vis a vis the Palestinians. Whenever an apologist acuses somebody of beeing atisemite , You can bet he ran out of inteligent remarks. Really important point, you boron. I remember being an Appalachian poor kid thrown, by virtue of fate, into a school system full of city-slicker kids. One day, a “science” discussion came up about differences between male and female animals. Some kid said, “Bulls have horns, but cows don’t, because they’re female”. Having milked more than one cow with horns, I tried to point out that this student was incorrect. Not only did the rest of the class make fun of me, but the teacher sided with the kid who was wrong. This is typical of our society. We are a moronic, brainwashed, illiterate, pompous, opinionated bunch of dolts with beliefs entirely controlled by the corporate machine. I learned at an early age that the “truth” in this society is a matter of consensus. It is manufactured, and nobody thinks. We endure the fundamental flaw of Democracy: the tyranny of a misinformed, willfully ignorant majority. Sooner or later, every society that chooses rhetoric over reality pays the price. Those who support Israeli apartheid will eventually be regarded as what they are: racist ideologues who promote bronze-age mythology over reason and rationality. The same is true of the terrorists who resort to violence in support of the Palestinian cause. Both sides are archaic, despicable and unworthy of membership in modern society. But as one of the few American citizens alive today who actually knows how to milk a cow by hand, I can’t help but think that the far more evil and insidious side of this dispute is represented by the city-slicker Israelis. I agree with all your posts. Wonderful post and so true ! Great examples of mass ignorance at its malevolent best can be found in Michael Lewis’ books on the recent (latest) Wall Street fiasco (“Liar’s Poker” and “The Big Short”). Tells the inside story of how the world’s economy came to the point of complete destruction because of the mass idiocy of the big Wall Street financial firms. Reading these books you cannot help but be impressed at how extraordinarily stupid these people were.